Vest jackets have been around for a very long time and while many people wear them as a fashion choice, they do actually have a proper protective function, which is that of keeping the core warm. The core of the body, that is the trunk of our upper body, is very susceptible to the cold and while the extremities cool down in order to maintain the warmth of the core, hypothermia slowly sets in. For this reason, especially in very harsh temperatures, vest jackets are an important layer in providing warmth and protection. Besides, vests are not as restrictive as a typical jacket, and are also more breathable due to not being completely closed by sleeves, making them a necessary addition to any wardrobe, but especially so for people on the move and those who spend time outdoors year round. 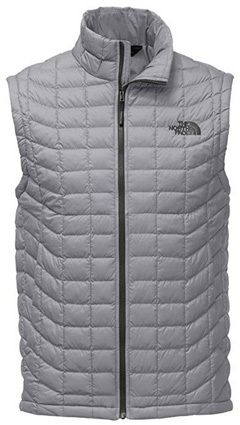 In today’s selection we have included 7 vest jackets for men and women by The North Face, so let’s get right into it. 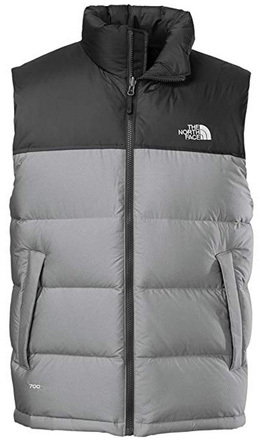 Those familiar with The North Face have certainly come across the ThermoBall jacket and this is the vest made of the same materials, and with the same name. The ThermoBall vest is made of a 100% Nylon ripstop shell, as well as a lining made of 100% Nylon. 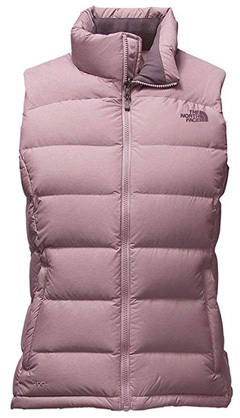 The insulation is 100% Polyester ThermoBall, a synthetic insulation by The North Face in collaboration with PrimaLoft®. It mimics down in its ability to retain warmth, without being affected from moisture, an issue that down runs into when wet. This vest is very lightweight, with a stand-up collar and two zip pockets on the sides. The shell is water-resistant should you be caught in bad weather, but we’d suggest you wear vest jackets in dry weather since they cannot protect you properly, regardless of how water-resistant the shell is. There are more than 20 colors available, including: Mid grey, Grape leaf matte, Turkish sea, Venom yellow and Cardinal red. Aconcagua is a vest made of 100% Polyester, with Heatseeker insulation in the sides and shoulders. The body is insulated with 550-fill power goose down, which is responsibly sourced per the RDS certification. There are two side pockets, which are lined to keep the hands warm, and one chest pocket on the left side. While the shell is water-resistant, you should avoid wearing this jacket in rainy weather as the down insulation will get wet and lose its ability to insulate, leaving you prone to hypothermia. 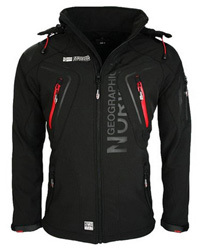 The main zipper is exposed and there is a high stand-up collar which is also padded. This is a slightly bulky vest, designed to be worn on its own rather than layering as it will result in excessive bulkiness, which is never comfortable. There are 10 colors to choose from, which include: Asphalt grey, Cardinal red, Monument grey, Shady blue, Tnf black, Fusebox grey, Golden brown, Botanical garden green, New taupe green and Mid grey. The next vest is Canyonwall, a 100% Polyester design that is made for outdoor adventures. It is lightweight and very breathable, suitable for physical activity. It works well as part of a layering system or on its own in mild temperatures. The inside of the jacket has a fleece backing, which is insulating and helps wick moisture away. There is DWR finish on the outside, which helps the jacket withstand light showers. On both sides there are zip pockets, lined on the inside for keeping the hands warm. 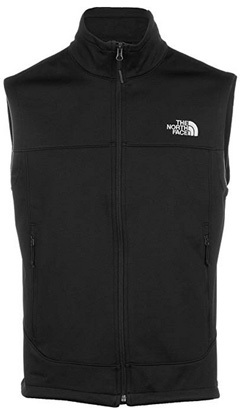 There is one color available: Tnf black. 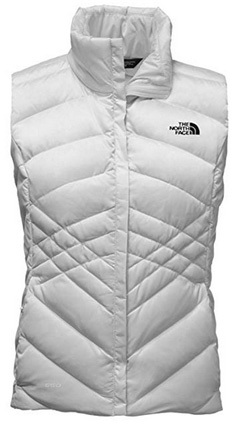 The last design for men is the Nuptse vest. It is made of 100% Nylon on the outside and inside, with nylon taffeta on the shoulders for extra durability to wear and tear. 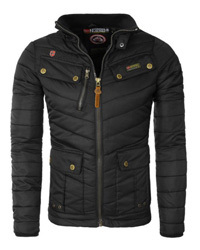 There is a high, padded collar with a brushed inner lining and two side pockets with covered zippers. This vest is insulated with goose down, which is highly compressible and the jacket itself is stowed into the inner chest pocket for easy packing. The hem is adjustable with cinch cords and the down insulation is distributed throughout and held in place with wide horizontal quilting. 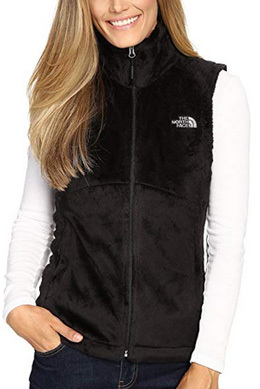 Moving on to the women’s vests, the first one is Aconcagua, which varies in design from the men’s version. 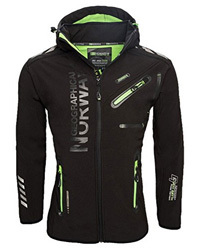 It is made of Nylon and comes in an active fit cut, which makes it great for outdoor activities in cold temperatures. 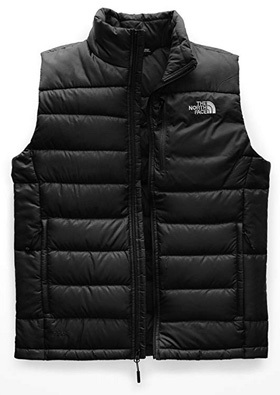 This is a down-insulated vest, with goose down fill power options ranging from 550 to 900. The sides, however, are insulated with synthetic insulation, which helps maintain warmth in case you get caught in bad weather. The mixed diamond and horizontal quilting help prevent any blind spots in insulation, which would be a big issue in very harsh temperatures. There are two side pockets on this vest and 20+ colors available, including: Dark eggplant purple, Cerise pink, Rabbit grey, Kokomo green, Shady blue and Spiced coral. Osito is a fleece vest made of 100% Polyester. The fleece is silken, very soft and comfortable, while also being warm and breathable. The sides are stretchable, making this vest suitable for a variety of outdoor activities as it won’t hinder movement. It comes with two side pockets and a high stand-up collar. It works very well for layering during cold days or on its own in milder temperatures. There are many colors to choose from, including: Greystone blue, Rambutan pink, Tnf black, Starry purple. 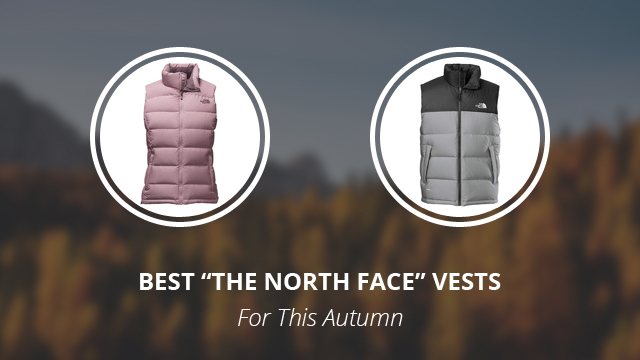 The last vest for this selection is the Nuptse 2 design. With a high, padded stand-up collar and a cinched waist, this design is practical and comfortable. The shell is 100% Polyester, as is the lining of the jacket. It is insulated with 700 fill power goose down, which is held in place with even, horizontal quilting that prevents blind spots and focuses most of the insulation in the center, to prevent feeling cold when the temperatures drop too low. There are two side pockets on this vest and 15+ colors options, including: Surf green, Metallic silver, Quail grey heather, Cosmic blue and Rambutan pink. 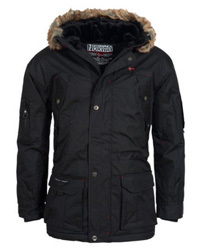 Previous Article← Jack Wolfskin vs Canada Goose: Which Brand Is Better?